For 50 years we've been providing New Zealanders with specialist advice, great products and the world's most desirable brands. Supplying everything from basic trade products to top fashion fittings from the best brands in New Zealand and the world the Plumbing World team is equipped with the specialist knowledge and technology so you get the benefit of specialist plumbing advice. 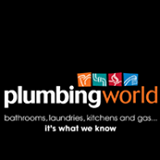 With branches nationwide from Kerikeri to Invercargill (see our network below), Plumbing World has grown to become the largest 100% New Zealand owned national plumbing merchant. Along the way, Plumbing World has gained a reputation as the bathroom, laundry, kitchen and heating specialist.